If this is an Emergency, Please CALL 911! If you have any of these signs or symptoms call 911 immediately. The Washington County-Johnson City EMS “Save a Heart Program” is aimed at increasing the awareness of the public abut sudden cardiac arrest (SCA) events and to promote training in CPR and the use of AED’s and to increase access to AED’s in the community. Sudden cardiac arrest (SCA) is one of the leading causes of death among adults in North America. Each year, it claims the lives of a quarter of a million people in the United States alone. Once every one or two minutes, another American succumbs suddenly, without warning. Most victims of sudden cardiac arrest are middle-aged or elderly. Though the average victim is about 65 years old, some victims are in their 30s or 40s. Most collapse at home. For many, there is no previous history of heart problems. Sudden cardiac arrest is often the first symptom. Although victims of sudden cardiac arrest tend to fit in certain categories, sudden cardiac arrest, by its nature, is completely unpredictable. It can strike anyone, anywhere, any time. Chances are you know someone who has experienced sudden cardiac arrest – a friend, a relative or a co-worker. Sudden cardiac arrest does not have to result in “sudden death.” When sudden cardiac arrest occurs, most victims have an abnormal heart rhythm called ventricular fibrillation (VF). When the heart is in this state, it cannot beat in a coordinated fashion and blood does not circulate to the heart and the brain. First, the pulse stops. Then, breathing stops. The victim loses consciousness, collapses and appears lifeless. But the victim doesn’t have to stay that way. Ventricular fibrillation is a treatable rhythm. In this state, electrical energy is present in the heart, but it is chaotic. If the heart can be shocked quickly with a defibrillator, a normal heart rhythm may be restored. This is called defibrillation. If this shock is delivered within minutes after collapse, many victims can survive. The Key Is to Be Quick. Studies conducted at cardiac rehabilitation centers have shown that when sudden cardiac arrest victims in ventricular fibrillation receive CPR and defibrillation therapy within the first minute or two after collapse, more than 90 percent survive to be discharged from the hospital. The American Heart Association Chain of Survival outlines the five critical steps needed during a sudden cardiac arrest event. A strong Chain of Survival can improve chances of survival and recovery for victims of heart attack, stroke and other emergencies. The quicker we can implement these five steps the greater the chance of surviving the sudden cardiac arrest event. Washington County – Johnson City EMS is committed to increasing public awareness about Cardiac Arrest Events and the Chain of Survival. Through the “Save a Heart Program” EMS will be offering monthly CPR & AED classes for community groups, civic organization, churches, and individuals. The classes will include instruction in community Adult, Child, and Infant CPR as well as AED training. The courses will be four hours in length and include both hands-on training as well as lecture and video instruction. Participants in the program will receive CPR certification for two years and a wallet card. Participants are encouraged to renew their training every two years to keep up with the ever-changing guidelines, practices, and techniques. Classes will be offered on the third Saturday of every month from 1:00pm to 5:00pm at the Washington County – Johnson City EMS Training Center at 204 Wesley Street, Johnson City, TN. EMS will provide all supplies and instructors for the course and the only cost will be a certification fee of $15. Interested individuals can sign up for a course by calling 423-975-5500 Monday through Friday 8:00-4:30. Class sizes are limited to twelve (12) students and will be filled on a first come first serve basis. The CPR & AED courses are focused on the individual who may be faced with a cardiac arrest event in their daily lives either at home, at work, or just out shopping and are not meant for the Medical Professional. Medical Professional, industry, or other professional organizations that require AED & CPR for the Healthcare Providers may request those classes on site for their organization. EMS will be happy to put you in contact with one of our instructors to assist you in setting up your class. In addition to the CPR and AED training WC-JC EMS is proud to offer an AED loaner program. Schools, businesses, civic organizations, churches, etc.. may borrow an AED from EMS at no charge for up to 72 hours for special events. The borrowing entity must provide proof of AED and CPR training for individuals who will be in attendance at the event as well as sign an agreement for the AED. We feel this is a great program to get more AED’s into our community during events where there may be a large gathering. To request an AED you can contact WC-JC EMS at 423-975-5500 or you can download the application below. Flooding is the leading cause of weather related death world wide. On average there are 68 deaths in the United States annually related to flooding. In 2012 alone there were 29 deaths from flooding and over $500 million dollars in damage. ?0% of flood related deaths are due to drivers driving into flooded roadways and becoming stranded and trapped. Washington County ?Johnson City EMS and the National Weather Services recommends drivers keep out of any flooded roadways and adhere to all posted signs, barriers and warnings. During a flood you have not way of knowing how deep the water is or if the roadway has been washed away. 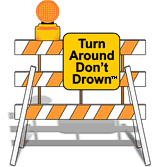 Please take a moment to watch the informative video and always remember “Turn Around Don’t Drown”. Always check local weather conditions before departure- TV and radio forecasts can be a good source of information. If you notice darkening clouds, volatile and rough changing winds, or sudden drops in temperature, play it safe by getting off the water. Proper boating safety means being prepared for any possibility on the water. From compliance with fire safety regulations to tips for fueling up, following a pre-departure checklist is the best way to make sure no boating safety rules or precautions have been forgotten. One of the most important parts of boating safety is to use your common sense. This means operating at a safe speed at all times, especially in crowded areas. Be alert at all times, and steer clear of large vessels and watercraft that can be restricted in their ability to stop or turn. Also be respectful of buoys and other navigational aids, all of which have been placed there for one reason only- to ensure your own boating safety. Make sure more than only one person on board is familiar with all aspects of your boat’s handling, operations, and other boating safety tips. If the primary navigator is injured or incapacitated in any way, it’s important to make sure someone else can follow the proper boating safety rules to get everyone else back to shore. A float plan can include the following information: name, address, and phone number of trip leader; name and phone number of all passengers; boat type and registration information; trip itinerary; and types of communication and signal equipment onboard. Did you know that the majority of drowning victims are the result of boating accidents were found not to be wearing a Lifejacket? Make sure that your family and friends aren’t part of this statistic by assigning and fitting each member of your onboard team with a lifejacket-prior to departure. Practice boating safety at all times by saving the alcohol for later. The probability of being involved in a boating accident doubles when alcohol is involved, and studies have also shown that the affect of alcohol is exacerbated by external effects such as sun and wind. If you’re going to be in and around the water, proper boating safety means knowing how to swim. Local organizations such as the American Red Cross and others offer training for all ages and abilities- check to see what classes are offered in your area. Beginning boaters and experienced experts alike need be familiar with boating safety rules of operation. Boater education requirements vary by state- some require validated completion of at least one boating safety course. Regardless of your individual state’s requirements, it’s always important to be educated, aware and prepared for every circumstance that might arise. You can learn boating safety rules by taking a local community course, or there are online tutorials to help educate novice boaters. Take advantage of a free Vessel Safety Check from the US Coast Guard (see links below). 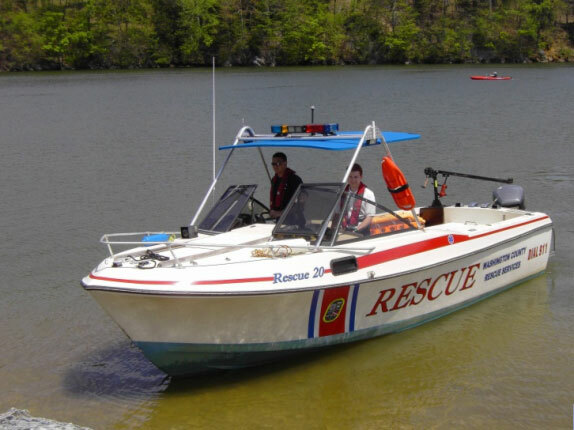 They offer complimentary boat examinations to verify the presence and condition of certain Safety Equipment required by State and the Federal regulations. Free of charge, they’ll provide a specialist to check out your boat and make helpful boating safety tips and recommendations. They also offer virtual online safety checks as well. This program is the result of interagency collaboration led by the Federal Emergency Management Agency’s (FEMA) Individual and Community Preparedness Division in cooperation with the U.S. Department of Health and Human Services Office of the Assistant Secretary for Preparedness and Response (ASPR), the Medical Reserve Corps (MRC), and the Uniformed Services University’s (USU) National Center for Disaster Medicine and Public Health (NCDMPH). The original research supporting the curriculum comes from the Centers for Disease Control and Prevention (CDC). The program aims to teach bystanders how to keep victims with life-threatening injuries alive until EMS arrives. If you or your group are interested in receiving this training, WC/JC EMS will be happy to provide an instructor for you. You can contact our training department at 423-975-5506 or by email at training@wcjcems.org. The following article was written by Sarah Calams, Associate Editor with EMS1.com. You can read the full article here. You could be running errands and see someone suffering a cardiac arrest or you could be checking out at the grocery store and witness a person trip, fall and hit their leg on something sharp or you could also witness something far more traumatic. When a gunman opened fire on 22,000 Las Vegas concert attendees from the 32nd floor of the Mandalay Bay Resort and Casino earlier this month, scores of first responders – both on and off duty – responded to the mass casualty incident. However, there were also everyday citizens helping victims run for cover, transporting wounded victims and tying tourniquets to stop major bleeding. Something as simple as First Care training, according to columnist and retired fire chief Rob Wylie, can empower citizens to transition from hapless bystanders to lifesavers. The Las Vegas shooting, along with other large scale mass casualty incidents, drives home the importance of why everyone – not just first responders- should have the knowledge and ability to provide immediate care prior to the arrival of EMS. You never know – it may mean the difference between life and death for a patient. And that’s where FEMA’s “Until Help Arrives” program comes in. “Until Help Arrives” is a web-based training program developed to educate and prepare the public to provide lifesaving care should the need arise. In addition to stopping the bleed, be sure to remain vigilant about knowing where public bleeding control kits are installed in your city or town. The kits, much like public access to an AED, contain gloves, gauze, tourniquets and other supplies in public places to help control life-threatening bleeding. In light of the recent catastrophic hurricanes, the National Institute of Standards and Technology (NIST) created a video about the significance of making sure community members are prepared in case of an emergency or disaster. That same emergency and disaster preparedness can be translated to empowering bystanders to initiate simple, lifesaving actions. For example, if a bystander knows ahead of time how to use a tourniquet, then they won’t miss a beat when and if the need arises. It’s an EMS provider’s job to remain calm, cool and collected on an emergency scene. However, for an everyday citizen, this is usually not a part of their daily job description. It’s equally as important to use the “Until Help Arrives” program to teach bystanders how to provide comfort to injured patients and remain calm during potential chaos or destruction. You make a difference: Participants learn about the critical role they play in the emergency medical response system. A discussion is included about why people act in an emergency, and they will learn about how their minds and bodies may respond under stress. Call 9-1-1: Participants learn how to communicate with a dispatcher. Stay safe: Participants learn how to assess life-threatening situations and how to move injured victims away from further harm. Stop the bleeding: Participants learn how to apply pressure and use a tourniquet. Position the injured: Participants learn proper positioning techniques, both for patients who are conscious and unconscious. Provide comfort: Participants learn about providing physical and emotional comfort. The three-hour course will also provide participants with additional resources and training available to them. Sarah Calams is the Associate Editor of EMS1. In addition to her regular editing duties, Sarah delves deep into the people and issues that make up the EMS industry to bring insights and lessons learned to EMS providers everywhere. She can be reached at Sarah.Calams@ems1.com.